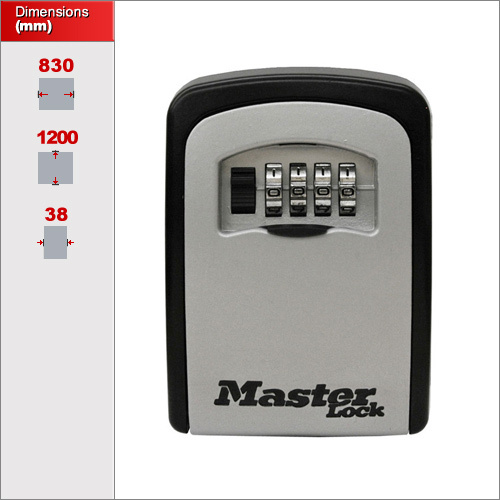 Masterlock came up with the idea of a Key Safe and since then have done very well from it. They prove to be the most popular on the market and highly reliable. It is basically an alternative to leaving a spare key under the door mat. We'd still advise you keep it out of view however especially if you plan to keep you main house key or car keys inside. 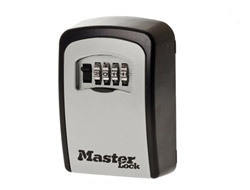 You'll get about 4-6 keys inside but obviously you could both other items such as credit cards in also. It can be fixed to a wall and is suitable for outdoor use. Zinc cast body resists hammering and sawing. Rust-free, suitable for outdoor use. Easily mountable on any surface. Includes the hardware for attachment.